There are also economic incentives for ship operators to clean up their act. The sector has undergone nearly a decade of financial crisis. Cargo carriers are struggling to operate profitably, leading to a wave of bankruptcies and mergers. Fuel costs make up 50-60% of the industry’s expenses, and any reduction in consumption would help improve the bottom line. While new ships can be built with cleaner engines, what about old ships still in operation? There are more than 50,000 sea-going vessels, and around 16,000 cargo boats are traversing Europe’s inland waterways. They need technology that can be easily and affordably retrofitted and, even more importantly, which helps operators to save money for assuring the acceptance and willingness to install and use the solution. 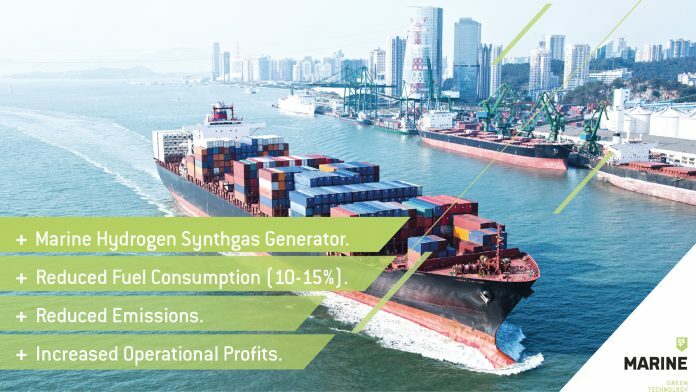 FUELSAVE had already developed hydrogen and synthgas generators and injector modules for road transport and industrial engines when, in 2013, it began researching how to increase combustion efficiency to lower the fuel consumption in shipping. Be accepted and adopted by the market. 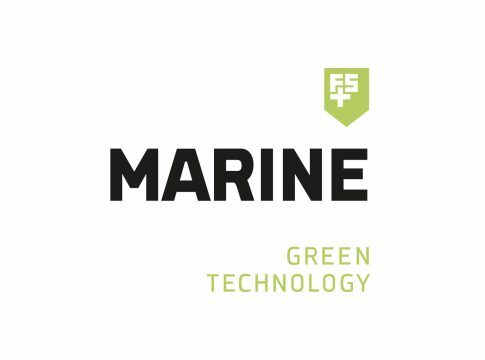 The result of FUELSAVE’s R&D project is FS MARINE+ – the breakthrough marine engine efficiency enhancement unit that can be installed in almost any ship’s engine room, significantly improving efficiency and reducing emissions. 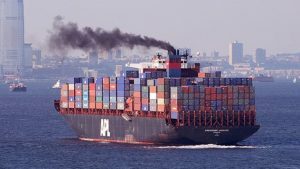 With FS MARINE+, in 2018 FUELSAVE is introducing a unique field- and laboratory-proven, disruptive retrofit solution which addresses challenges in the maritime industry to significantly decrease fuel consumption (10% net savings), cut emissions (30-80% NOX, 40% filter smoke number (FSN), 8-15% CO2) to reduce OPEX, and to increase the operational profitability of FUELSAVE customers while reducing the impact on the environment. The system provides a clear win-win situation that follows FUELSAVE’s credo: Save Energy – Save Money – Save the Planet. Here’s how it works: FS MARINE+ contains a hydrogen electrolyser, an injection unit, and an intelligent control unit. The electrolyser turns deionised water into hydrogen and oxygen, which is dynamically injected into a ship’s operating engine, depending on engine load, in combination with other processes – similar to a particular water and (m)ethanol mix being injected in heat-bearing parts of the combustion process. This has the effect of stimulating a homogeneous and more efficient fuel ignition and combustion process at cooler temperatures. The higher energy potential of the gas mix ensures fuel is burned more completely and effectively, thereby significantly improving the combustion efficiency of the engine. By placing this integrated solution with a mobile hydrogen electrolyser on-board a ship, FUELSAVE has achieved a world first. 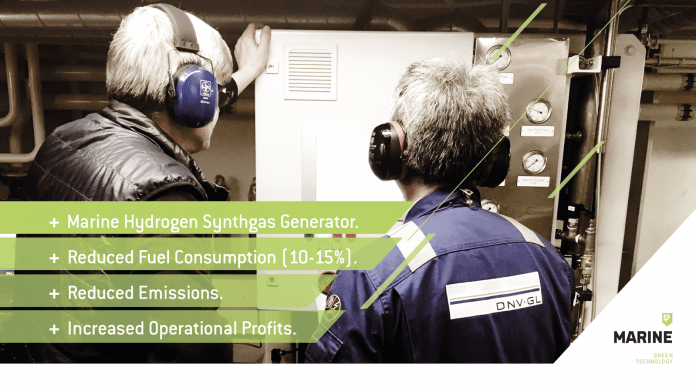 It is the only company to have obtained approval for a hydrogen generator on an operating ship from DNV GL, the maritime certification body. It also resulted in two patents from the European Patent Office (EPO). Most importantly, FUELSAVE has demonstrated that the technology can be applied to almost any ship’s auxiliary and main engines, and is able to serve multiple engines at once for the highest ROI. The FS MARINE+ module is sized according to the engine capacity it needs to serve and can be easily fitted into most engine rooms. To enable simultaneous support of three auxiliary engines the overall size is under two cubic metres. First contracts are being drafted to equip four ships of equal type from SAL Heavy Lift GmbH (now part of the Harren & Partner Group) after having made a positive difference with the pilot system over the past two years. The solution will serve one main and three auxiliary engines, with a combined engine power of 15.5MW in parallel with one FS MARINE+ system, heralding the dawn of an efficiency revolution in the shipping sector. Oil analysis by Castrol found that MV Annette‘s engine quality (which had fallen from ‘normal’ to ‘critical’ after 500 operation hours) remained ‘normal’ even after 1,500 operation hours of using FS MARINE+, underpinning the positive effects that the FS MARINE+ solution has on an engine in reducing wear and tear and maintenance. So far, pilot tests have only been performed on auxiliary engines using MGO, but even greater benefits are anticipated when main engines that process HFO are tested as the effect on dirtier fuels is more significant. Using the FVTR Rostock, Germany, FS MARINE+ has been proven under laboratory conditions to comply with IMO Tier I and Tier II regulations for emission reduction – using MDO and HFO 500 – while bearing the unique advantage of not only reducing emissions, but also fuel consumption in order to gain a positive ROI within the warranty period. Wind power can also be harnessed. Marine kites and sails can be fixed to some ships, but can only be used 15-30% of the time, and only up to certain speeds. Mention should also be made of one of the technologies that promises to reduce emissions, yet comes with caveats. SOX exhaust scrubbers are large filtration modules installed on engine exhaust vents to capture particles. They are claimed to be able to recover up to 99% of SOX. However, they result in high installation costs and higher fuel consumption (1-3%) due to increased engine strain. Scrubbers must be cleaned frequently, and waste is often flushed into the ocean. 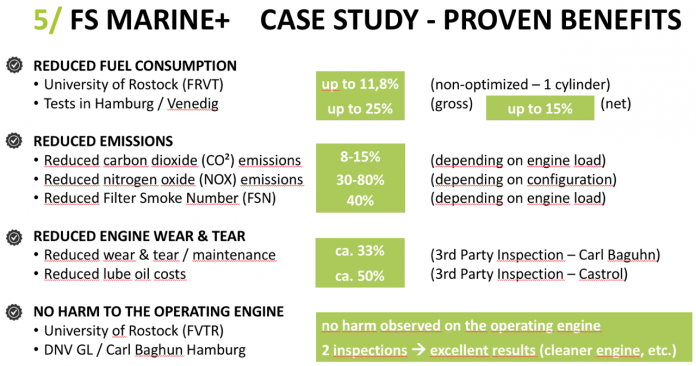 By comparison, FS MARINE+ has been shown to save 11.3% of fuel, and thus reduce CO2 by a commensurate amount, while also cutting NOX output by 66%. Additionally, it can be combined with any of the other efficiency methods to increase the total impact. When selecting an efficiency technology, ship operators are likely to look at the price. FUELSAVE plans to offer customers a return-on-investment pricing model which guarantees amortisation within three years due to fuel savings. A further model – build-lease-transfer – will deliver FS MARINE+ at no upfront cost, with payment taken in the form of shared profits from fuel savings over a period of time. Secure partnerships with suppliers, distributors and maintenance companies. FUELSAVE GmbH has achieved the highest evaluation score of all applicants under the latest call for proposals and became EU SME Champion at the end of 2017. In serving large two-stroke engines without the need for big changes in the engine room, as all is packaged in containers and can be placed on-deck. With a challenge as big as climate change, no single solution will save the day. Rather, a combination of incremental, scalable and affordable methods is required. FUELSAVE has created one such solution, and is already working on the next. Being able to show that the benefits of its solution outperform competitive solutions in terms of applicability, usability, and ROI, FUELSAVE aims to set a new gold standard for easy, efficient, enhanced retrofitted solutions in the maritime industry and beyond.